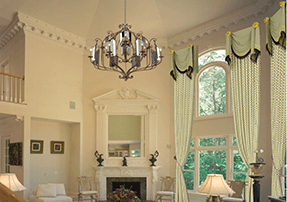 Ulinkly guarantees all of our Products are free of any defects in manufacturing or workmanship, our experienced workers will exam each curtain's quality and size before we ship to you. 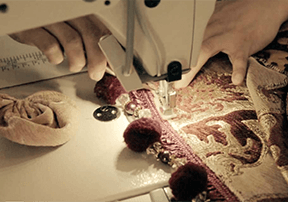 If there is any proven defect, we will repair or remake for you without additional charges. If you receive something that you don’t like because you feel the quality isn’t up to standards, we will fix the problem immediately or let you reselect another product. If that doesn’t work for you, we will issue a full refund for Standard fixed size items (all the items sold under "Deal" or "Great Deal" category) within 15 days after you receive your product. If you picked something you end up not liking, or have simply changed your mind, we will let you choose something else and give you up to 50% OFF the replacement. For the purchase > $500 for your own designed style, you just need to pay us 50% deposit, we will start making your window treatment products, once done, we will send you the picture of finished product for your review before we ship them to you, only after you confirm them, we then ship to you and you pay us remaining amount. If there is any defect (<1%), we will remake for you right away for free. For ALL customized items, if the size is wrong due to our measurement mistake (not yours) or proven quality issue(excluding color difference), we will remake for you by sending you another brand new items without any charges, and you can return the old one back to us without any charges, returns must be unused, in the state you received them, and in the original packaging (if original box is broken, please use a new box from shipping store, we will refund you the cost for both new box and shipping). You need to use USPS or Fedex nearby your home to ship back the return products, send us the receipt of return shipping cost, once we receive the returned product, we will refund the full amount plus the shipping cost. For all customized items, they are not subjected to free return, but we will try all best to fix or remake the product until you are satisfied, if you insist to return without having new replacement product, 15% restocking fee will be charged for the custom-made product which is greater than $500. 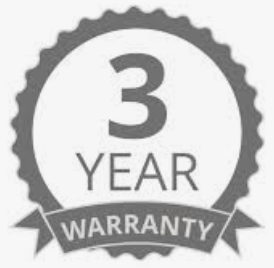 We provide 3 years warranty for any products (fixed and custom size products) you purchased from us: if there is any proven defect, any proven issues with your products, after 15 days' free return policy (for the fixed size deal products), we will fix them for you for free within 45 days after you receive your product(s), or you will get a new replacement for free. After that, if there is any proven defect which is due to fabric quality issue, not due to other issues not related to fabric quality itself, we will send new replacement within 3 years from purchase. 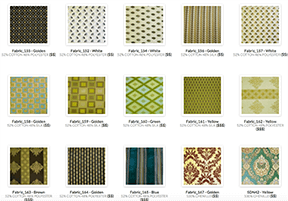 We guarantee our products are selling at the lowest price in the high-end fabric treatment market, if you find out any other vendor is selling similar high-end custom-made fabric window treatment products at lower price than the one you purchased, please show us the product link, once verified, we will refund you the difference multiply by 2. We partner with the largest nationwide installation companies to offer you the lowest installation fee at $50-$85 per hour, averagely 2 windows per hour. For regular products (specified in the "product information" section), If your purchase is more than $3000, we will provide free in-home installations(up to 2 hours) for those products. However, for the promoted or deal products, we won't offer this free in-home installation if you purchase online (not contacting us directly), if you are not sure if free in-home installation is included for your purchase online, please call us at 1-800-282-1166 to confirm.